Penn National Gaming is moving into the California market with a new casino project in partnership with Jamul Indian Village, about 20 miles east of San Diego. The $360 million development still needs the blessing of the National Indian Gaming Commission for Penn to be approved as its management company, but that’s mostly seen as a formality at this point, and construction is already underway. Penn National runs the chi-chi M Resort on the far south end of the Las Vegas Strip; the very last casino, in fact, before you head off to Southern California. 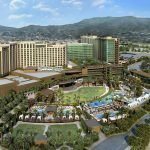 To be called the Hollywood Casino Jamul, the new project will make use of the Native American tribe’s California gaming compact, held since 1999. The new construction should be three stories and a total of 200,000 square feet once completed. It’s expected to open towards the end of next year. Going up off of San Diego’s State Route 94, one concern had been traffic congestion and access to existing local businesses and neighborhoods; but Jamul Village Tribal Chairman Raymond Hunter says all that is being addressed with the construction process. Hunter says special care is being taken to divert construction traffic particularly away from interfering with any type of local commerce flow. He said additionally that Route 94 is getting redevelopment funds specifically to allow for increased traffic without any problems. 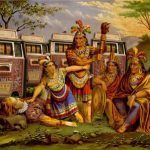 Indian gaming continues to be a huge force in California; according to the latest Indian Gaming Industry report, the Golden State accounts for more than 25 percent of the entire U.S. Native American gaming market, with $6.9 billion in casino revenues for the last tallied year of 2011. The whole American market for Indian gaming brought in $27.4 billion for the same timeframe. And because Indian gaming benefits from a beneficial tax rate under California’s 1999 tribal compact, Wells Fargo Securities gaming analyst Cameron McKnight says investors could see as high as 20 percent returns on the new gaming house. “We estimate the management and development agreement could contribute $10 million to $15 million in annual free cash flow for Penn,” noted McKnight in his research findings. 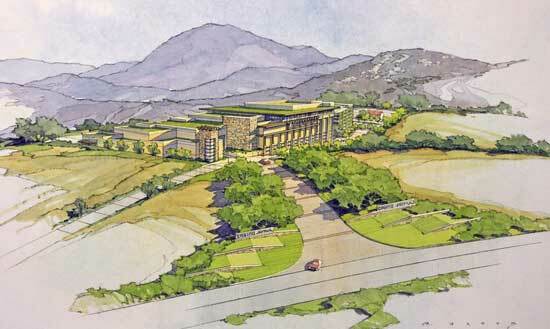 The Hollywood Casino Jamul will be California’s 69th Native American casino, based on the 2011 numbers, and will join recent additions like Station Casinos’ $800 million Graton Resort in Sonoma County, just north of San Francisco and in the popular wine country region of the state. Penn’s real estate division, meanwhile, is proving a good investment indeed; the company’s investment trust – known as Gaming and Leisure Properties Inc. and just formed last year – will be paying out a total $1.05 billion dividend come February 18 that will amount to $11.85 per share. 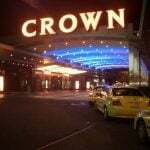 The dividend will be paid out 20 percent via cash for $210 million, with the balance coming as additional shares of Gaming and Leisure stock. By using some creative legal self-financing options, Penn National has shown itself to be a solid player in the regional U.S. casino market. Having spun off the majority – 21 out of 29 – of their own racetracks and casinos late last year into the Gaming and Leisure Properties subset, that company then leased 19 of the casinos back to Penn, while continuing direct ownership of the remainder through real estate investment trusts, or REITs. The beneficial tax benefits this creates seem to sit well with analyst McKnight. “The deal clearly demonstrates GLPI’s accretive acquisition strategy. It demonstrates how sale-leasebacks are a form of alternative financing for operators,” said McKnight.